Jay gives you some quick tips as to why this is in the video below! There are a variety of reasons why your green friends can start to look on the yellow side, and it’s not just due to overwatering. Yellow leaves can be due to a lack of water, too much watering, temperature stress, nutrients deficiency or can be completely natural as the plant grows. Examine where this is occurring on your plant and the amount of yellow leaves there are. If one are two of the lower leaves on your plant are turning yellow, this can just be because the plant is growing and shedding its old leaves. Is it a watering problem? The best way to work out if you have a watering problem is to use the soil as a guide. Feel it - does it feel wet? Or is it super dry? If it is a watering problem, most of the leaves on your plant will start to yellow. If the soil is too dry, the leaves will turn yellow, start curling inwards, droop and turn crispy. Is this the case? 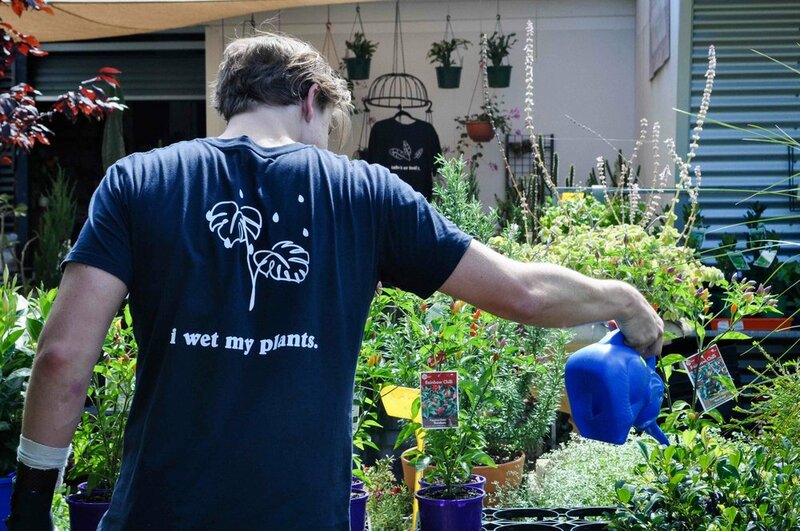 then give it a good soaking, and maintain a consistent watering schedule, to the plants needs. If the soil is too wet, the leaves will become a faded green / bright yellow colour. When this is the case, the lower leaves will usually drop first. Let the soil dry out completely before watering again and make sure to only water your plant when it needs it. Just don’t do it too often! If there is irregular yellowing and sometimes leaf deformities, it means your plant is getting a lack of nutrients and needs a feed. Make sure to get yourself a fertiliser and give your plant a feed once a month. Especially with indoor plants, the environment that they are in can determine whether your plant is happy and healthy. Use yourself as an indicator. Plants want to be comfortable, just like you or I, so position it in a spot in your house that isn’t too hot, cold, or drafty, and doesn’t have too many environmental changes. Identifying the reasons why your plant is yellowing is key, so examine all of the factors that could be contributing!